Chain, chain, and more chain. You've worn down your chainsaw chain, already? Well have no fear. We have a wide variety of chainsaw chain from Carlton so you can get back to playing Paul Bunyan in no time. 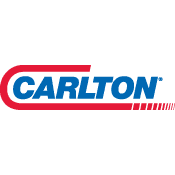 We have a large selection of high quality Carlton aftermarket replacement parts. Enter your part number above to find the replacement part you need!